I ordered it in October last year….. Inspired by Jeff and Jana, whose beautiful images I have admired for months. It soon became evident that I had not realized how enormously wide angled this little box is, so it will probably take a few tries before I’m on track with it. The pictures are much softer than I had hoped for, but it may become better if I go even closer to the object. The same with these, I was really up close….. So bare with me, I have a long way to go before we are BFF, my little Zero 2000 and I….. Looking forward to more adventures with you two! I’m happy you like them, but sad to hear that you are not satisfied with your Zero, may I ask why? Do you have the same “problem” that I have? Ohh, I misunderstood you, sorry. But I know what you mean, I have a Diana too… Not my BFF either, and no hope about it….. So you have your own darkroom? Supernice. Wow! 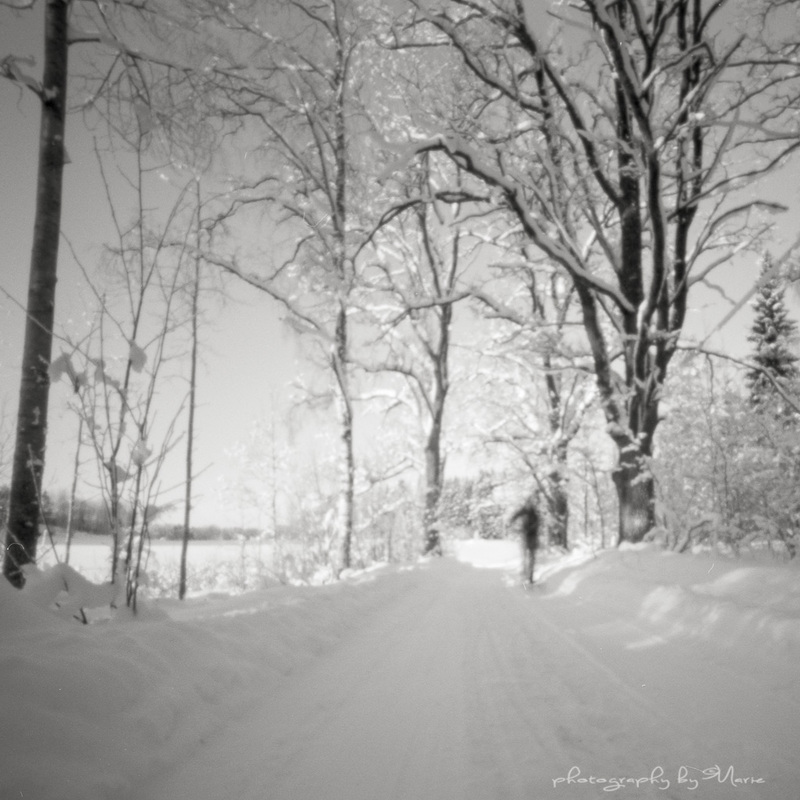 I especially like the snowy lane! REALLY beautiful scenes…. Love the effect!! Marie you are your own worst critic, these are just lovely. 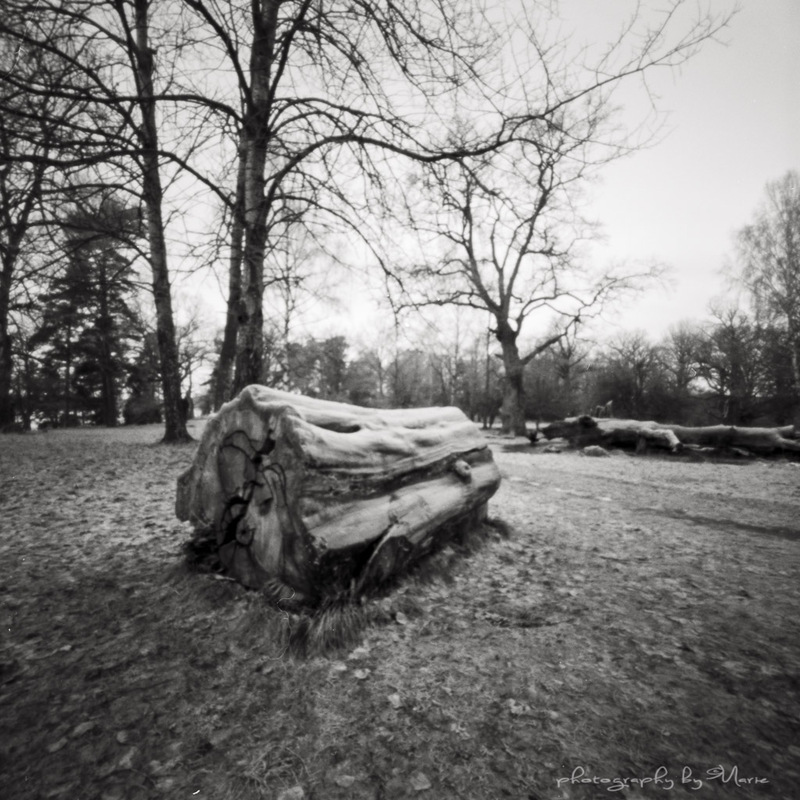 Off course, you know I have a weakness for trees, logs and roots…..right? So these are of some of my favorite subjects. Just love the root system coming off that big tree. Just beautiful. Well, I guess I maybe had a little high hopes, but I sure hope that my experience will be better the more films I shoot with it, that it just is my unfamiliarity with the extreme wide angle that makes me unhappy…. It’s just “load another film in it and go out and shoot”!!! Have a wonderful weekend, you too! I know what you mean Marie. I shot a roll with the Yashica Mat 124G the other day. I hadn’t used it in quite some time, and even though it’s supposed to be idiot proof, this idiot was all thumbs that day. I got some OK shots but I’m not happy with them. Marks tells me I’m my own worst critic. Like you, I will load another roll of film and try again. I’m happy if I get one exceptional image per roll, but it does have to be outstanding. I agree with the previous comment, you are the worst critic of your work! I understand that maybe the results are not exactly what you expected to get from the pinhole camera but I am confident that you will end up loving that wonderful camera!! 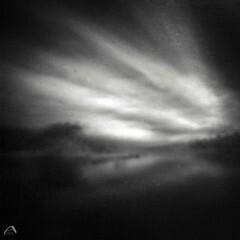 And yes, the perspectives and framings with the pinhole are something that you have to get used to! Log live to the pinhole! like a theme from a dream.. like the work! Re two of the above comments: aren’t all really good artists the worst critics of their work? The pin-hole pictures fascinate me, photographically and also from the point of view of the ‘technology’ (or should that be lack of it?). I just acquired a round biscuit tin to have a go at making a pinhole camera to try to exploit the medium by making very wide panoramas. How long were the exposures on 100ASA, and do you know the diameter of your pin-hole? I think your photos are lovely. Well, someone has to be critical, when you all are so incredibly nice to me! 😉 hehe….. The aperture is stunning f138, and the view angle is mindblowing 130 degr. My exposure times, well, I did not note it down, but the darker ones was about 15-30 sec, and the lighter one about just a couple of seconds. I have a handheld spotmeter that I can’t live without, and I have also found two great apps for my cellphone, the “Pinhole Assist”, and “Reciprocity Timer”, and these two are vey very good help for making the exposure time right. Ahh, I’m glad to see your first shots and they are lovely! You’re right that it takes a few rolls to understand how wide the camera captures and especially how close you can get to a subject like the tree. The exposures are right on! 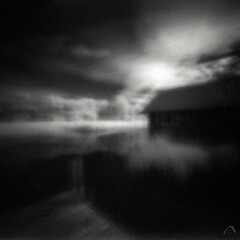 My first few pinhole rolls were a bit blown out and my development was too contrasty. 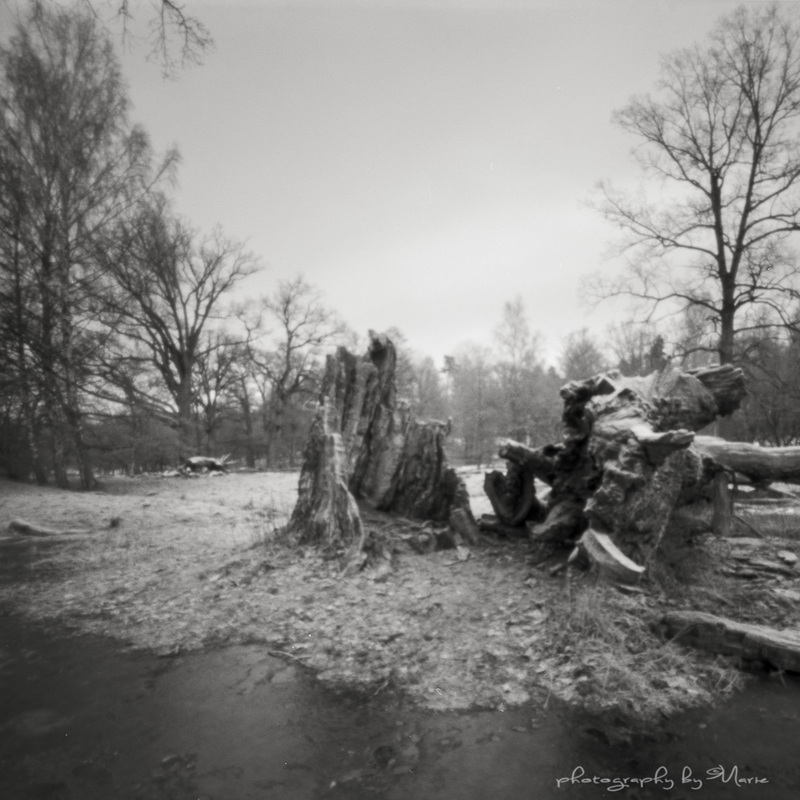 I have found that I don’t like landscapes with the pinhole, but I’ve seen Jeff capture some amazing work with his Zero 2000. Yeah, if tomorrow just could come soon….. I think I have to do some clever measurement exercise… But the exposure is easier. I have a handheld spotmeter, a Calcu-Light XP, that is brilliant, and I have found two great apps for the iPhone, “Pinhole Assist” and “Reciprocity Timer”, and those two are an excellent help for measuring the exposure right. And I agree, Jeff has don some exquisite work, I have seen his Zero 2000 set on Flickr, it is truly amazing!! So, I have to go out and DO IT, and try both landscape and architecture, to see what suits me best. Thanks Jana for your kind comment! I really love the soft nature of the photos – it gives each image a dream-like quality… Can’t wait to see more photos from you and your new friend! But for a first try, they sure look good! So great to see your first images created with the Zero Image! I particularly like the top image of the old tree trunk, the softness. 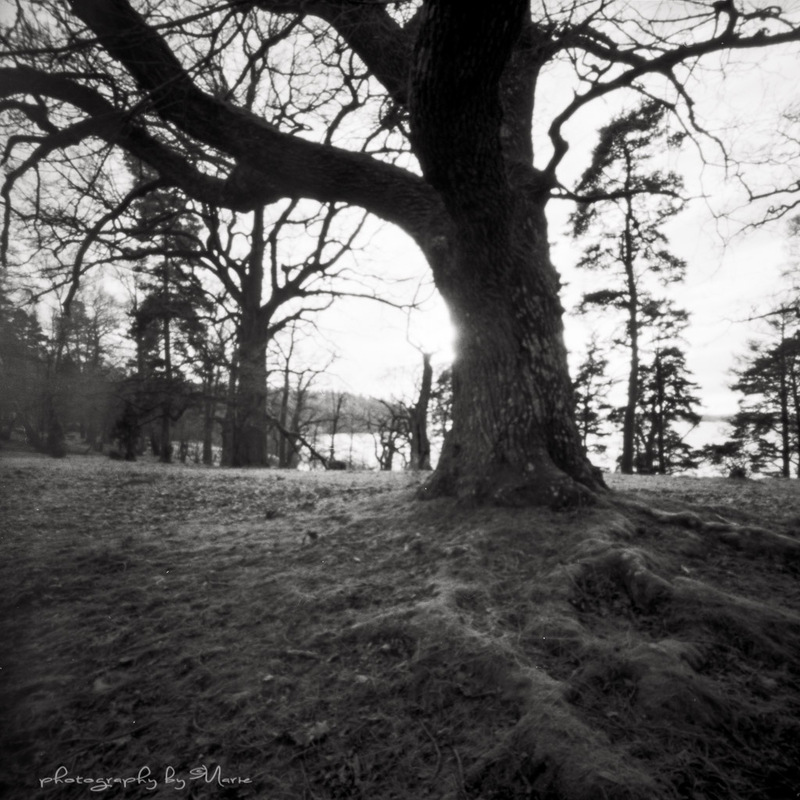 As for having the pinhole camera ‘close’ to things that turn out to look quite far away in the photograph, it takes a while to get used to how the lack of a lens elongates the scene. Over time though you get the hang of it and start using it to your advantage placing interesting things in the foreground. I’ve no doubt you’ll get the hang of it in no time! Had another thought after hitting the send button, when I say close I mean close, like sometimes only inches from the camera itself. 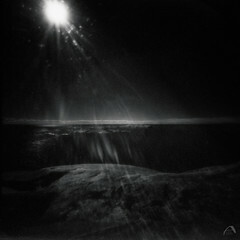 A pinhole camera is the greatest wide angle camera you could have in my opinion. I see your point here. I was so close up to the trunk I thought -No way this is gonna fit the frame, and you can see the result, haha!! 😀 It’s not even near…. I think I might have to tape some kind of angle marking on the camera, The Holga 120 WPC has that in the top of the body, and that is a really great feature. But help me here, is my Zero much softer that yours and Janas? Or am I doing something wrong? I have a feeling that your images are a LOT more sharp than mine… And I use a very sturdy tripod and cable release, so that won’t be an issue… I don’t understand why…… Do you?